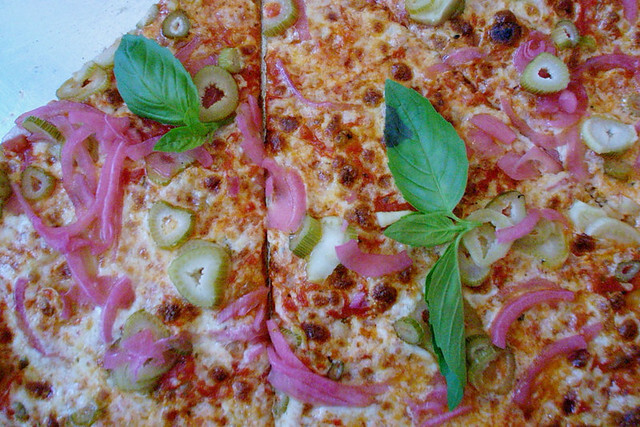 Yes Best Pizza in Williamsburg is fastly becoming my favorite place to grab a quick slice or a quick NY style pie. The first time I went to Best Pizza I tried a slice of each grandma, plain and white and all 3 slices were just really really REALLY good. This time around I was determined to try the pickled veg as a topping. Luckily my dining companions had the same idea. The pie came topped with pickled onions and fennel (we weren’t sure) and it was fantastic. Added a dash of chili flakes for some heat. Sweet, salty, spicy and tangy all in 1 bite. WIN!